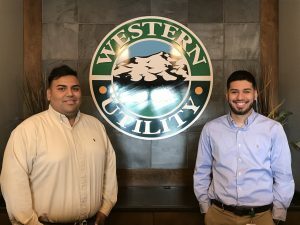 Please join Western Utility in welcoming two new summer interns to the Western family: Alejandro Lopez and Ricardo Ramirez. Alejandro Lopez (pictured right) comes to us from the University of Illinois at Champaign-Urbana, where he is working on his B.S. in Technical Systems Management, with a focus on Construction Management. 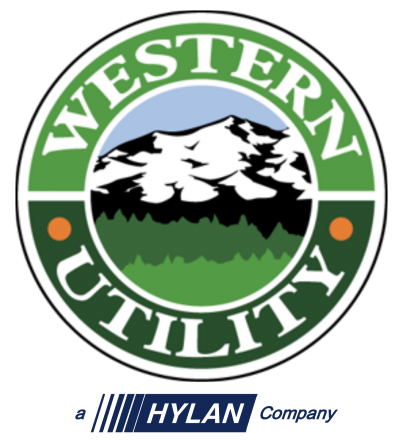 Alejandro completed another internship last summer for Urban Till, where he maintained schedules for all construction projects, led a group of interns in designing a new irrigation system and assisted with construction of a Las Vegas warehouse. Alejandro is Vice President of the Omega Delta National Fraternity and a Student Ambassador for the Peer Recruitment Program at his school. Ricardo Ramirez (pictured left) also comes to us from the University of Illinois at Champaign-Urbana, where he is working on his B.S. in Technical Systems Management, with a concentration in Construction Management. Ricardo studied abroad in Costa Rica in the winter semester. He also worked as a project intern last year for Silva Construction Drywall and Taping, where he was responsible for completely redesigning residential and commercial housing and planning efficient routes for deliveries. Ricardo is a Student Ambassador for the Peer Recruitment Program at his school, and is also a member of the Construction Management Association of America and the Illini Agricultural Mechanization Club. He is an Illinois Promise Scholarship recipient and is fluent in Spanish. Please join us in making this a successful, enjoyable summer for Alejandro and Ricardo. Good luck, gentlemen!